The Docupace investment is intended to help affiliated independent advisors streamline workflow while bringing RCAP a recurring revenue stream. 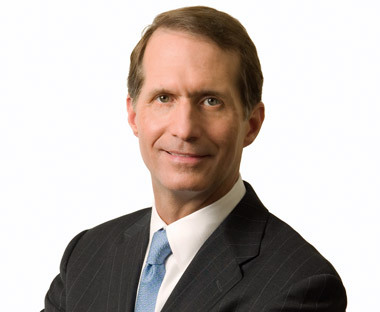 Larry Roth, CEO, Cetera Financial Group. RCS Capital (RCAP) said early Thursday that it is buying a majority stake in Docupace Technologies for an undisclosed sum. As part of the deal, RCAP plans to further use Docupace products across its broker-dealer network to cut costs and improve results by boosting efficiency and streamlining workflow processes, it explains. “The more than 9,700 financial advisors in [RCAP’s] Cetera Financial Group retail advice network, many of whom are existing Docupace customers, will benefit from this streamlined new business processing, client onboarding and document storage and retrieval solutions,” explained Cetera Financial CEO Larry Roth, in a statement. “We expect We R Crowdfunding to provide investors [with] direct access to public and private offerings, including Regulation A and Regulation D offerings, mutual funds and closed-end fund offerings, in a variety of industries and sectors,” said RCAP President Michael Weil, in a press release at the time. Los Angeles-based Docupace technology lets broker-dealers connect their IT systems, documents and data. Its core offering is a straight-through processing platform called ePACS, used by more than 500 clients with 70,000 individual users, including some large broker-dealers, it says. “This synergistic investment provides RCAP with a new, scalable and recurring revenue stream and will allow us to further leverage Docupace’s solutions, which are designed to increase efficiency by reducing operational costs and delivering enhanced compliance oversight,” explained Weill on Thursday in a press release. “We are confident that the Docupace platform will continue to provide significant benefits not only to our network of financial advisors and their clients, but also to our wholesale distribution business and the broader financial services industry. Once the acquisition is wrapped up, Michael Pinsker will remain president & CEO of Docupace. RCS Capital has been making acquisitions at an aggressive pace. In August, it announced that it would buy independent broker-dealer Girard Securities. The news came right after the group said that its rapidly growing IBD network was being branded Cetera Financial Group and that is was expanding platforms and services for advisors. “We look at the best of what the independent broker-dealers have to offer and are taking these tools across our firms by year-end,” Roth explained at the time. While acquisitions of more IBDs are likely to happen “opportunistically,” retaining advisors and improving fees and commissions (“same-store sales”) are the top priorities, the executive notes. As for its wholesale distribution business, which includes the sale of nontraded real estate investment trusts and related products, RCAP says revenue for the second quarter was $325 million, up nearly 83% from the first quarter. Check out RCAP’s Crowdfunding Site: A Smart Move? on ThinkAdvisor.